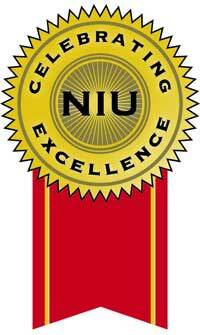 Northern Illinois University’s second-annual Celebrating Excellence event—which begins Saturday, April 12, and runs through May 1—has more than tripled in terms of the number of functions highlighting the many accomplishments and contributions of NIU students, faculty and staff to the university’s mission during the academic year. Last year’s event included 16 different activities. “We invite the community to join us in celebrating the many students, faculty, staff and alumni who provide excellent examples of what can be accomplished when we embrace the concept of student career success in fulfilling our mission,” said NIU President Doug Baker, noting most events are free and open to the public. 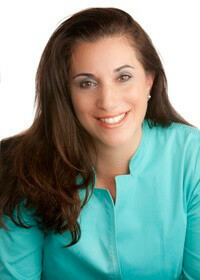 Although a few functions have already taken place, the official event kicks off Saturday, April 12, with NIU Cares Day and presentations from Nancy Lublin, the founder of Dress for Success and CEO of DoSomething.org. In addition to speaking to NIU Cares Day volunteers and students in the University Honors Program, she will present “Finding your inner entrepreneur” at 3:30 p.m. in the Holmes Student Center’s Carl Sandburg Auditorium, with a reception to follow in the Gallery Lounge. Both events are free and open to the public. During this annual observance, many events will take place including presentation of the university’s most prestigious faculty awards, presentations of outstanding research by graduate and undergraduate students, recognition of outstanding alumni and lectures by top faculty and visitors. The Victors—an ESPN-style program celebrating the athletic, academic and community successes of NIU’s student-athletes—Monday evening, April 28, at the Egyptian Theater, 135 N. Second St. in DeKalb. To be included as a Celebrating Excellence activity, an event must reward, honor or recognize excellence in research, artistry or service on campus; highlight a university-wide or multi-disciplinary activity or award; and/or honor contributions to the academic excellence of the institution. “It is important to recognize the achievements of NIU’s students, faculty and staff, and generating greater awareness for the wonderful things happening here at NIU,” said Bradley Bond, dean of the NIU Graduate School and associate vice president for graduate studies. A comprehensive schedule of events is available online at www.niu.edu/excellence, and in a program distributed in the Northern Star student newspaper and at most activities.